David Geoffrey is about ten pounds now, and at or over two feet tall. Lately he's learning that those arms and hands attached to him are his, and it's making him a little grumpy. Today he went on some errands with us (mostly involving diapers/nappies) and he was mostly happy. He has another checkup Monday, including some vaccinations which we hope aren't too hard on him. 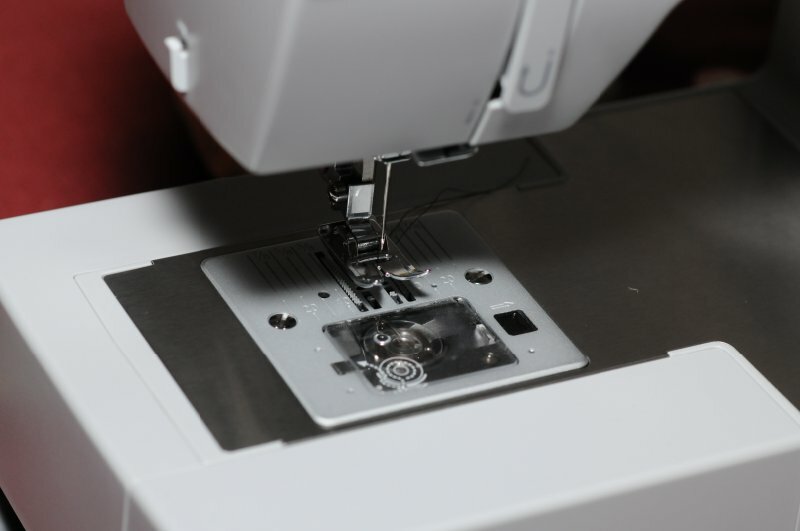 Facing a great rent in my pajama bottoms and guests arriving, I decided to look into automated sewing equipment, as hand-sewing had proven both tedious and ineffective. At first I tried one of those portable battery-operated machines that look a bit like an upside-down stapler, but it was all kinds of terrible (poor build quality, dropped stitches) and I returned it (and I must say the Amazon return experience was extremely painless) in favor of a Singer 4423 Heavy Duty regular machine, which got good reviews and was presently discounted to just over $100. That its dials were mechanical and it had no LCD readouts was a plus to me—I know what can go wrong with embedded peripherals, and would rather keep it simple for my first machine. So, I mended the tears, and hemmed the pants too since they were large and I was always tripping over them. But that's not all…. 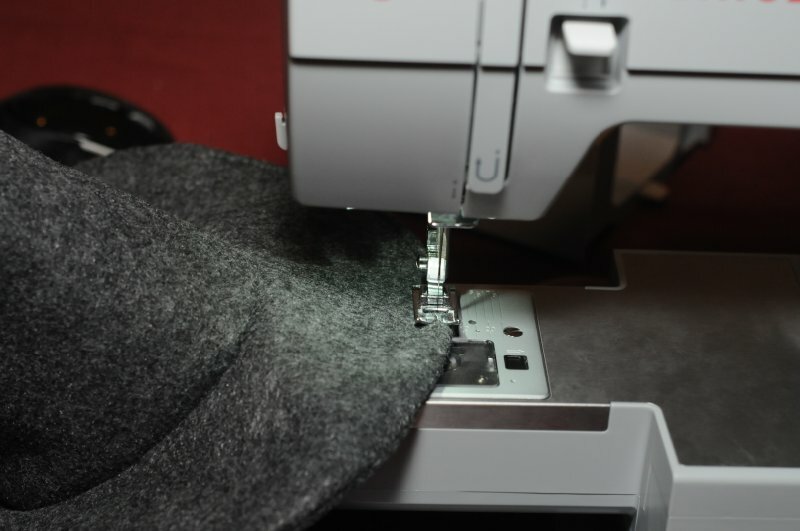 Looking for sewing tutorials I found Zab's channel, which, as well as her intro series, had a video on making a Gandalf hat. 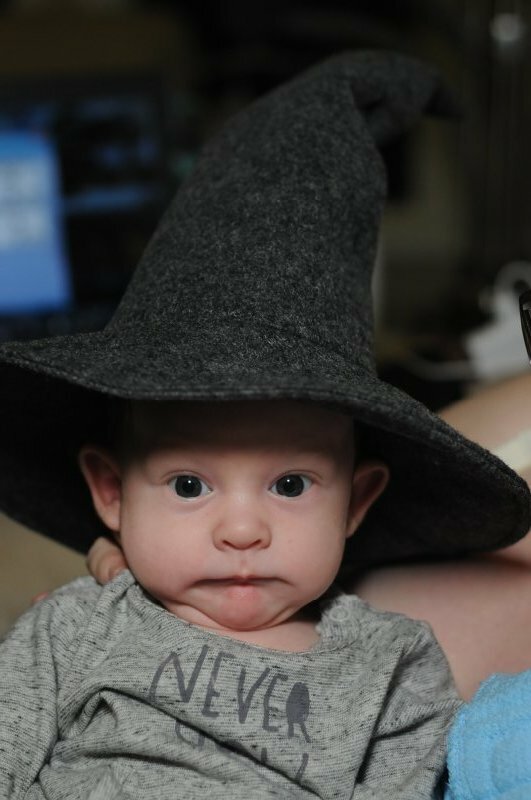 How could I not make wizard hats for my son and me? (Me: I also found this video for making a Jedi robe. 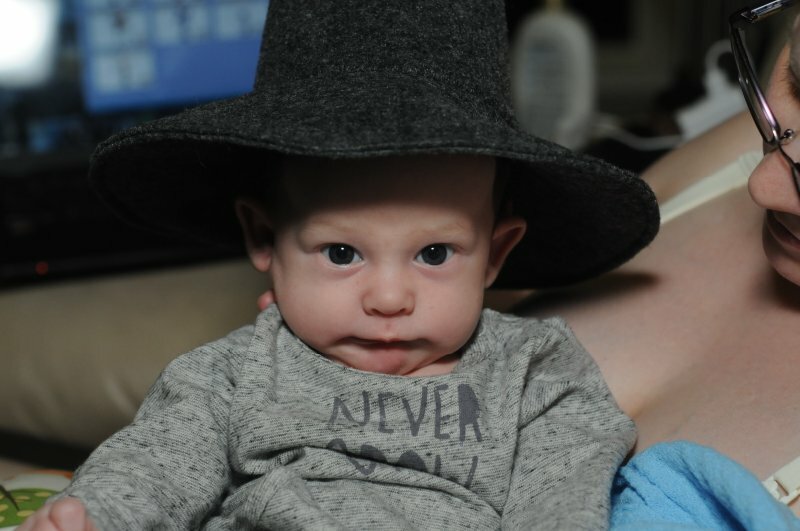 If I can manage the Gandalf hat, it should be easy! So, for the first time I walked into a fabric store voluntarily, and picked up some felt and lining fabric—and online I added a set of Gingher fabric shears, tape measure, interfacing, and other necessary sundries. Fortunately I had just brought some boxes back from my parents, and as well as Transformers they had my (English) mother's sewing bag, containing useful things like pins, needles, and even some usable thread (unfortunately the first section of the tape measure had faded from use). 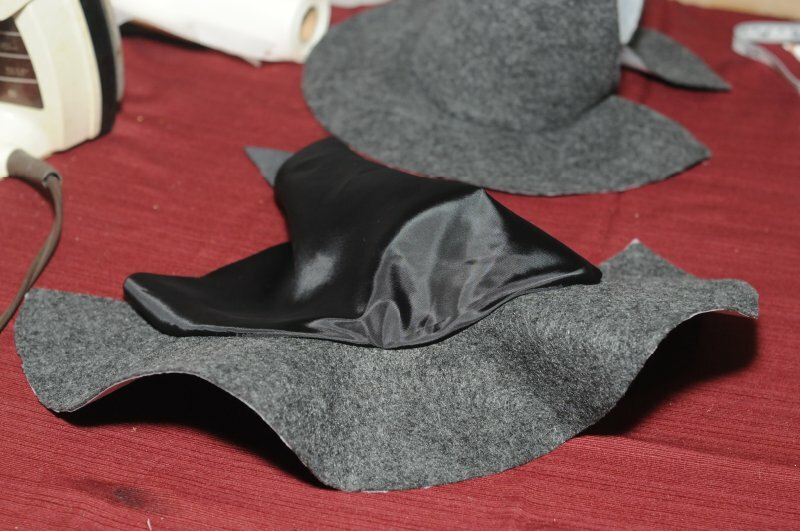 The first hat I made was too small. 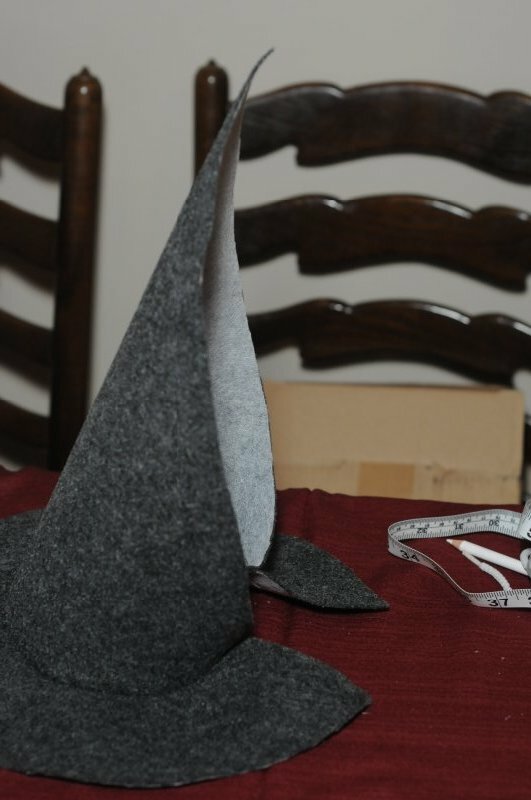 I learned from that, and did better on the second, the construction of which is shown above (the smaller hat is the one sitting on the sewing machine). I had made insufficient allowances for the way is brim is tilted (to give it concavity) and the seams. It's a nice decoration. 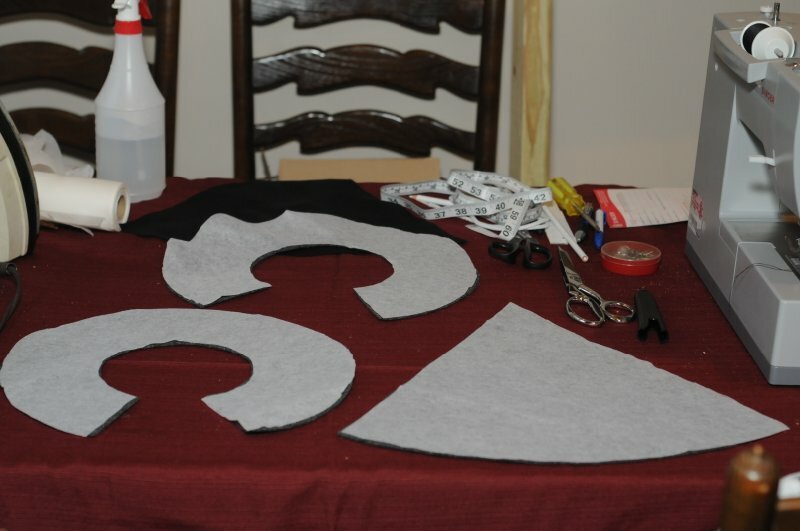 I also hadn't properly gathered (no pun intended) the idea of pinning and sewing the two curves together, and perhaps tried to flatten them too much, and had to cut some fabric later. I laid out my sewing equipment on the new kitchen table (my parents' old dining room table, which I rescued from being sold to strangers on Kijiji, which is how Canadians say Craigslist), and there's a TV inset in the wall connected to a computer (a respectible i7 with 8Gb RAM as it turns out—left by former owners) accessible via the hall closet behind. We'd never had occasion to use it yet, but having the video right there while making the hat was as useful as I expected it to be; I installed Arch Linux (over Windows 10), LXDE, and Chromium on it and we added Algaria to our internal network (when I installed cat6 soon after we bought the house, we included a connection to the closet). 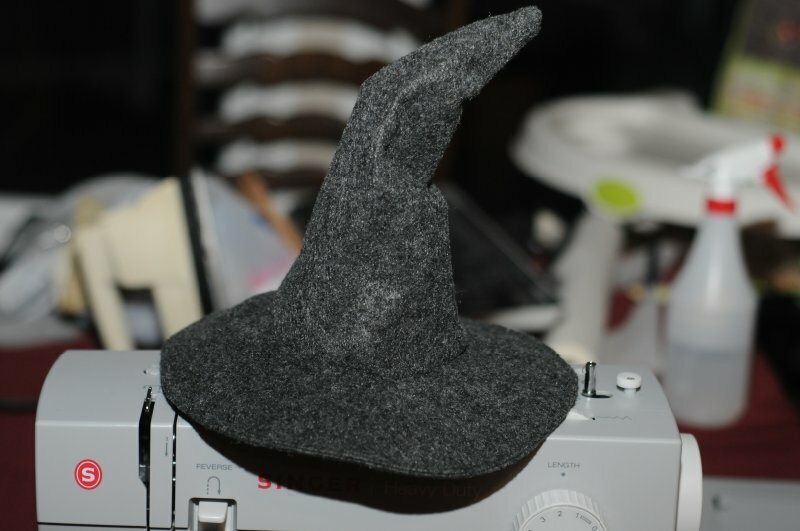 So, there's the finished hat on the unfinished wizard; I didn't get to mine in time for Hallowe'en (but will still make one), and I expect by the time it rolls around next year it won't fit any more and I'll need to make another one. I am very happy with how it turned out. 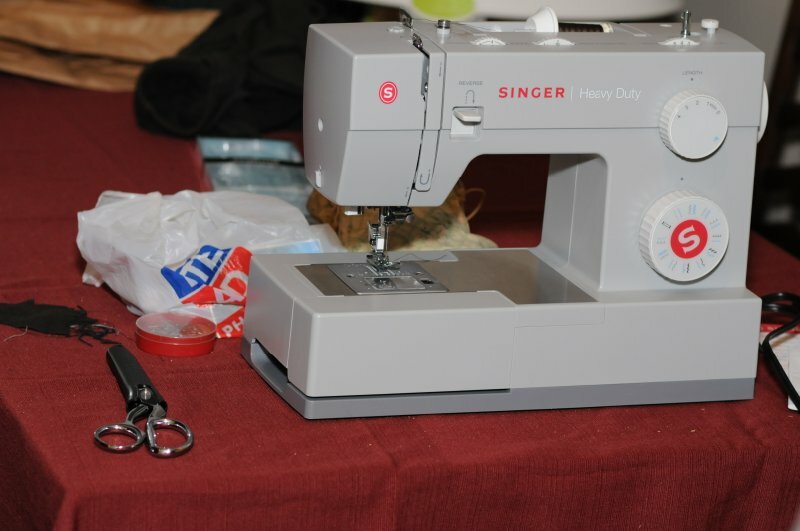 And now that I can sew, Honey expects me to hem all her pants, but I'm more the "teach a man to fish" type. If I recall correctly, my grandfather, (H.) Geoff Cater, was also competent with a sewing machine.